As believers in Christ, we recognize that we are to be good stewards of God’s resources because He is the ultimate source of all that we have. Throughout scripture, we are entreated to remember the importance of giving back a portion of what God so graciously provides us. 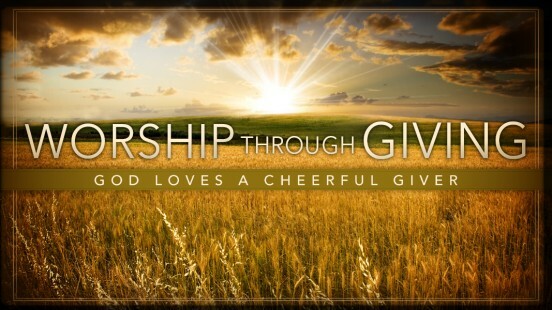 His Word tells us that giving is an important act of worship that should be done with a spirit of thanksgiving and cheerfulness. Here at Elizabeth Missionary Baptist Church, we offer you a couple of options that you can use to give to God’s work through your tithes and offerings. You can give by check, cash and debit/credit cards on Sundays, or you can mail or drop off your gift via cash, check, money order or debit/credit card to our office. You may also choose to use our website link below or to use the online bill pay service provided by your bank. Click the donate button below to donate to our ministry using via paypal. Using this system you may donate using your debit account or your credit card.